Though arriving earlier in the year, the Salford City Stadium have borrowed a splash of the festivities more commonly associated with Munich’s Oktoberfest, in announcing the hosting of an inaugural Summer Beerfest. Supported by Robinsons, the weekend over 7/8/9th June 2013, will see numerous brewers showcasing over 60 local beers and 20 plus ciders over the course of the festival. The festival celebrates the renaissance the beer and real ale industry has experienced in the region over the last decade or so, celebrating the growth of artisan brewing techniques, as well as the cultural and employment opportunities the industry has brought to the region. With everyone looking forward to the weekend, the event hopes to give patrons the opportunity to sample and buy a range of ales and celebrate the beginning of summer with a refreshing beverage while raising funds for the foundation. As well as the beer and ale festival, there will be a number of additional attractions to add to the event, including a wine bar for those looking for a break from the ale. There will be events staged throughout the day, with a collection of entertainers, including band and live acts to entertain revellers, as well as competitions and some rugby activity. Alongside alcohol booths, there will be an assortment of hog roasts and burger stands to ensure patrons can indulge in a tasty snack to accompany their beverage. Mark Brocklehurst, SCRF Community and Business Managers, said “It’s a new event for us at the foundation, and one everyone here is looking forward to. There’s going to be lots going on and a fun and festival atmosphere, and we hope to welcome many of our fans as well as other members of our community to the stadium”. The day will also welcome a number of Salford City Reds personalities to the event over the weekend, with players and coaches mingling alongside attendees, though without over indulging with an eye on match fitness as the season progresses. Families are welcome during the day with all accompanied under 18 year olds allowed in until 7pm for free. Entrance on the day is £5, which includes your event glass, programme and first half pint of the day. Demand will be high so we encourage you to buy your tickets early. 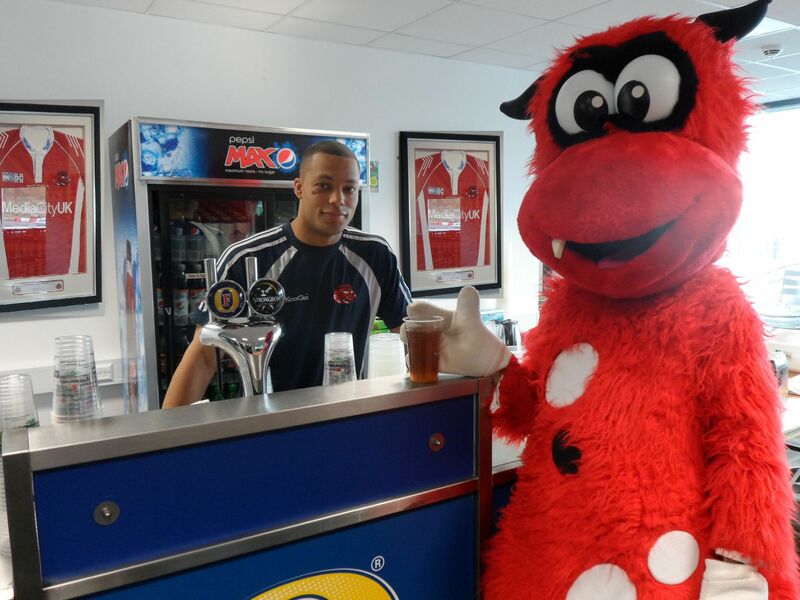 This can be done at reception of the Salford City Stadium. Everyone who prepurchases their tickets will be entered into a prize draw for a range of prizes including VIP tickets at the Reds, Rugby League World Cup Final tickets and much more.